Hearing a diagnosis of Alzheimers or dementia isn't something thats easy to handle. But Elizabeth Chentland wants people to know the change doesn't mean their life or loved ones has to be over. Chentland, associate program director for the Alzheimers Association, said Alzheimers programs are available throughout the state, but the early onset diagnosis usually receives the least support until now. The point is if the person receives a diagnosis early on they can then take a better approach with their lives, Chentland said. They can talk to their family and set legal advice, versus them just responding to how people take care of them later on. Columbus is the first city in the northeast part of the state to offer these sessions to patients and their caregivers, according to Chentland. Instead of using a structure similar to other Alzheimers support groups, these meetings are limited to eight biweekly sessions. The goal is to meet the families, deliver as much information to everyone in the room, then after the eight sessions we go back to them individually with specialized services, Chentland explained, adding that since each patient reacts to the disease differently, treating them in a group setting would not be beneficial. Alzheimers is the most common form of dementia, a general term for the loss of memory and other intellectual abilities that can interfere with day-to-day life. More than 5 million Americans live with Alzheimers, with some 33,000 residing in Nebraska. Jen Hill, a facilitator for the new Columbus group, knows firsthand the importance of learning more about dementia and finding a support network. 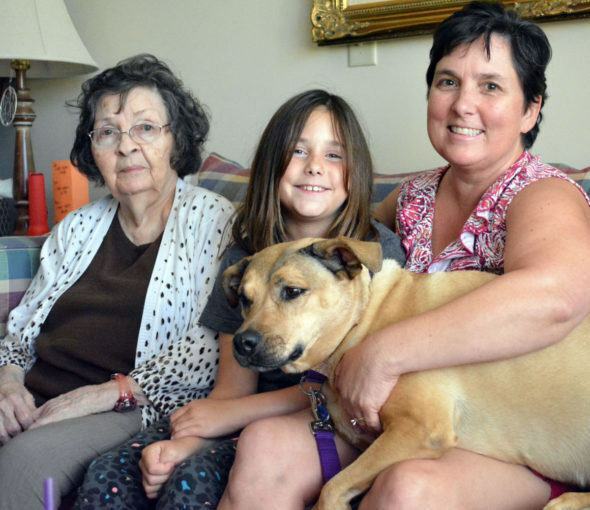 Hills mother, Caroline Rossi, was diagnosed with dementia about 10 years ago. When the disease progressed, Hill moved her mother from Omaha to Columbus to keep a closer eye on her. Rossi has lived at Meridian Gardens the past four years. When the new dementia support group was being formed, Hill was asked to provide input. They thought it would be nice to have someone who had a loved one who has lived through it with them, she said. It would have been nice being able to talk to someone who had a parent going through the same thing. I would not have felt so desperate and helpless if I had known more about the effects dementia was going to have on my mother, she added. Hill will help guide the program when it begins Tuesday at The Heritage at Meridian Gardens. Rachelle Congdon, another facilitator for the group, said the goal is to reach people like Hill and her mother. In our professional and personal experiences, we have seen firsthand the struggles individuals and their family face when dealing with dementia, Congdon said. For more information about the support group or to register, contact Diane Hendricks at 402-502-4301 ext. 8251. Registration is required.